Between the mossy mammoths, rhododendrons ("rhodies" to the locals) showed their bright pink blossoms. A spotted banana slug oozed along the path, and chattering squirrels dodged behind a nurse log as we neared. The closer we looked and the deeper we descended, the more we saw. ​And wondered, about the unseen. Sail through majestic Washington state and uncover islands, a park, a canal and a sea! A wild world of natural wonder. Explore islands, hike in rainforests and up mountains, paddle in Puget Sound waterways and the San Juan Islands, and watch for birds, orca, and other marine life. 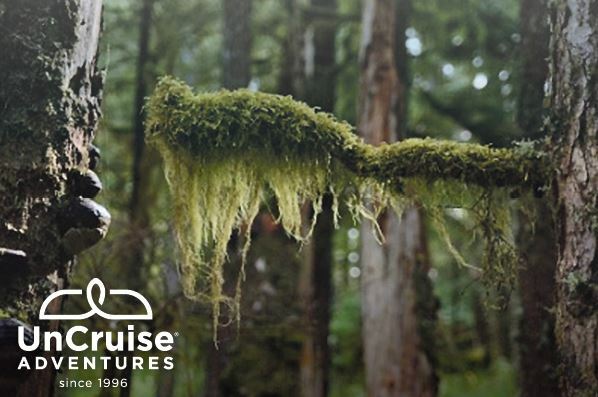 Revel in natural wonders cruising spectacular British Columbia—rugged shoreline, coastal islands, inlets, and waterfalls. 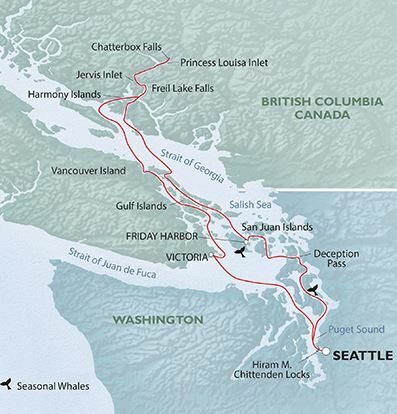 Unleash your inner explorer and settle into the rhythm of the Salish Sea—on both sides of the United States/Canadian border. There’ll be plenty of time for discovering the area’s wildlife and wonders.